Starting a new business or ready to upgrade your existing system? Someone you can trust to help pick from the various choices available in the marketplace? 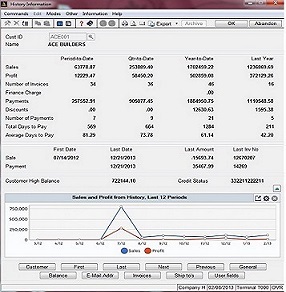 Someone to help document the in-house utilization of your accounting software? More than twenty-five year expertise in Accounting System design and utilization. Managing a project to procure a new accounting system is not just being a facilitator. There are many who are good at making phone calls, scheduling meetings , and coordinating paper flow. A Project Manager should also know the need of all users and how to help them maximize the software implementation. Work with all types of businesses- retail, wholesale, distribution, service, manufacturer, construction, banking, education.